Isp warehouseechnologies focuses on many of the top skills required to make it out there in the vast competitive nature of the market on the web. With the development of the internet the market has become enormously saturated and you need the top skills and minds to make your website work. Isp warehouse focuses on many of the top skills required to make it out there in the vast competitive nature of the market on the web. With the development of the internet the market has become enormously saturated and you need the top skills and minds to make your website work. Even though this competitive curve is a steep one it is however a very fruitful market. The internet is one of the most convenient and largest markets in the world. People can literally use it from the comfort of their own home. It is common to hear about unsuccessful website campaigns and if you have had one of these you were most likely not advised by your web designer in the correct way. Many people are under the influence of a common disbelief that a website cannot help their business. However it has been proven time and time again that an effective marketing strategy must be adopted whether you use pamphlets, signs or any other form of advertising. The strategy we adopt is SEO also known as Search Engine Optimization. Without this one should rather throw in the towel now with their website. Websites can show off your product in it’s entirety, with use of photos and descriptive sentences. Websites stay online so customers can always refer back to it unlike conventional pamphlets which people may lose. With the right SEO in place a website can generate more income as the people searching the search engines for your product initially has an interest in your product as where pamphlets are given out in the masses but only a portion of the people who receive one will be interested in your product. The internet is growing bigger and bigger every day, thus the market reach is growing. 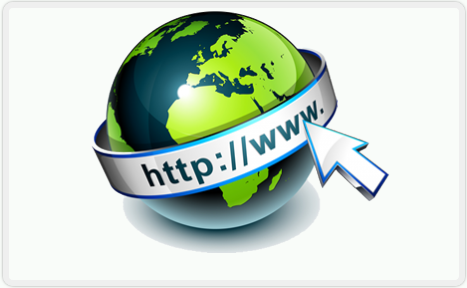 Websites allow you to trade internationally. As it is not our intention to deceive people we have added disadvantages as well. Websites only pay off once an effective marketing strategy is in place, however this is the same with any other marketing tool. Websites have to be hosted, maintained etc and can cost little bit of extra money per month. Getting your website just right may take time however same goes for other marketing tools. Other nice advancements which can be added to your web development project is polls which can serve as a method to capture trends on your website and find out what customers want and are looking for. This can serve as nice tool to incorporate better online marketing strategies into your websites. Amongst other ways we can provide you with detailed website statistics which can help you find out where is your niche, who visits your site, what pages they preferred over others. This may help in many ways to find out who your target market is and adjust your websites in such a way that you can improve your online marketing strategy. Other great tools to use in promoting your website are social bookmarking websites which expose your site to your close friends and contacts which you may have built up. Which in turn may branch out if they share your websites with other friends. Social bookmarking websites are one of the tools used to get exposure to new websites which don’t have a search engine optimisation plan in place as of yet. Amongst other things promote your website by writing a article about the subject your website is about and submit it to some local article websites if readers get interested in your topic and stumble upon your article you may get some traffic and interest to your website in that way. If you are not willing to wait and not work hard but have a good advertising budget for your website you can make use of paid advertising or commonly known as sponsored links which you can pay on a ppc(pay per click) basis so that you will only pay for advertising when someone actually clicks on your website.Also many of these services come with nice control panels where you can manage anything from budget to how many clicks you would like to receieve to your websites. Such a service is google adwords which is the most popular one out there, with very good return on investment if used correctly and wisely. One needs to find the balance between returns as opposed to costs, which is the biggest problem with sponsored links. Which is where search engine optimisation is a better option if one has a bigger budget for marketing. Search engine optimisation also has a longer effect as opposed to sponsored links which stops as soon as your budget runs out.